with over 25 years in the industry, and creator of the TBR2 Barbel Tripod. 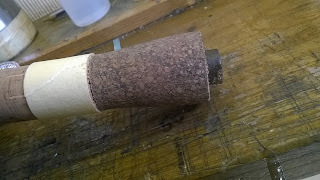 A quick post and before and after video of a reel that's just been finished. Okuma Epix Pro 40 reel with a very rough feel and noisy 'coffee grinder' racket going on ! The fix was replacing the bearings, all 3 of them as water had got in and the rust had done it's deed on them . . . . . . . an expensive job you may think? 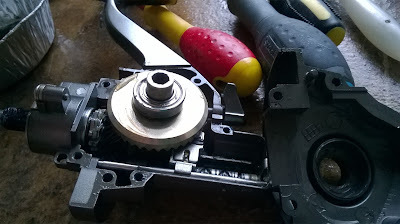 No, not really, all in with a service, the reel's total repair cost including 3 new bearings was only £25 ! Now bare in mind that if you were sending it to me you'd have postage costs both ways, but this chap was fairly local, so in his case, a very reasonable fix to keep a favourite reel in action doing battle ! Watch the video below and hear the difference ! As you can see it's made a massive difference to the sound, feel and operation of the reel, completely transformed from something you'd throw away to a reel that's going to be good for years. This is a service I offer for many many older reels, including the old original Shimano TSS Baitrunners (Triton Sea Spin), Daiwa original Tournament TSS5000's, Emblems (AKA baboons arse!) and many many more, including beach and boat reels ! Give me a shout with enquiries for any reel you have and I'll see what I can do for you ! 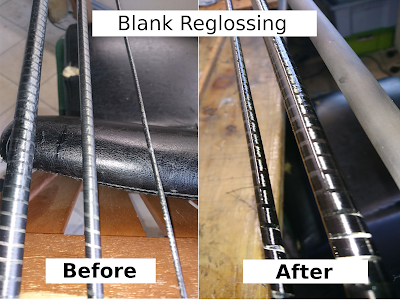 Rod blank re-glossing and finishing and refurbishments . . . . . . . . 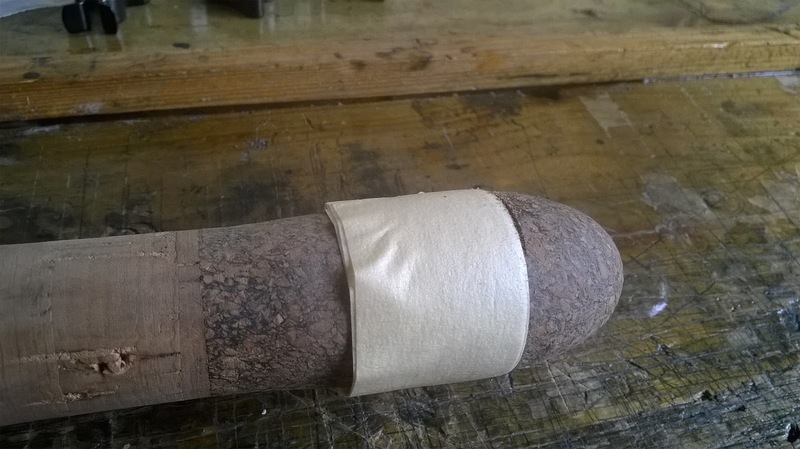 Many older blanks that have years of life left in them only tend to suffer from one common downfall . . . . . . . weathering . . . . . . . 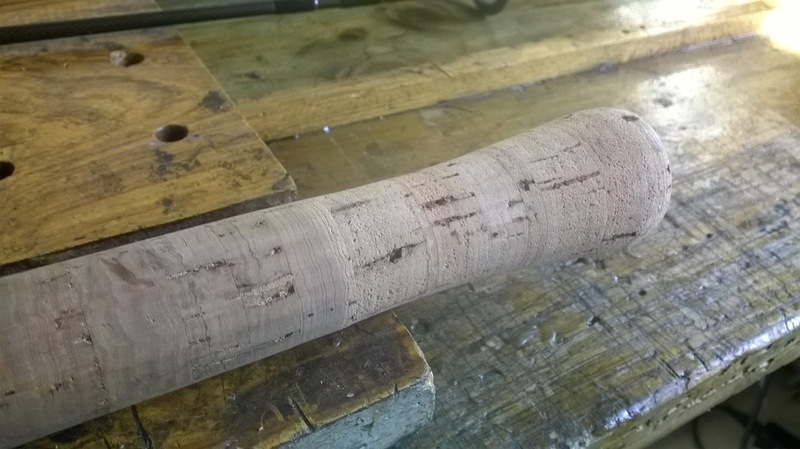 This can come in various forms from just fading with daylight, to the top layers going brittle and starting to crack/split, then the weather and water gets to them and they can go 'white' in the winter, whippings as well as blanks. 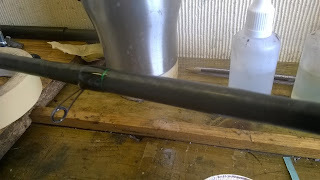 Surface scratches and packing the rods away still damp, or leaving rods wet and damp in a damp holdall for long lengths of time all contribute to the degradation of the rods outer finish. 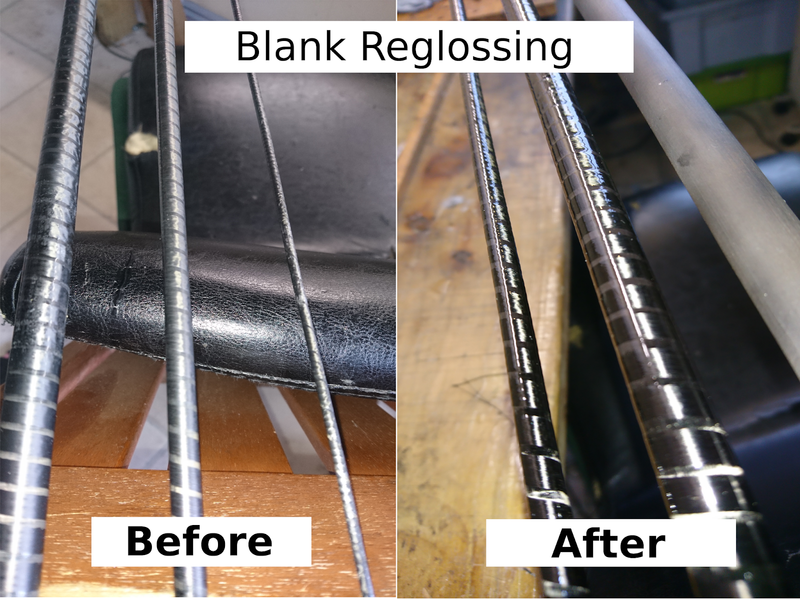 Re-glossing can bring an old rod back to life and make it look like new, as well as being a great base on which to rebuild a whole rod, or just re-whip and re-finish. Below are a couple of examples which show you the before and after shots of some recent rebuilds. over 25 years old and at first, really looking it ! As you can see there is a marked difference ! Tip sections looking good and ready for some rings ! replica handles fitted to complete the top to toe refurbishment. A bit of a Silstar classic from back in the day ! This will truly be a one of a kind Traverse X so what better way to start the build than with a freshly reglossed blank to ensure the best start ! As you can see, the difference in old and 'new' can be like night and day. 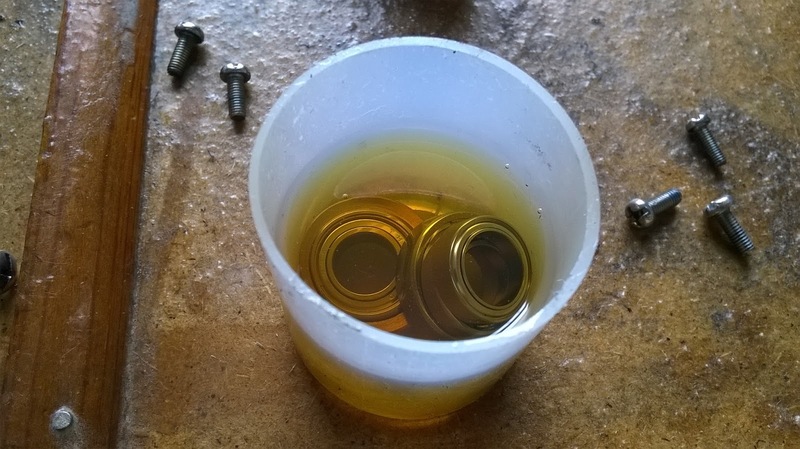 Most, but not all blanks can be recoated, some factory coloured blanks can't always be reglossed, and depending on the condition, may or may not be advisable to attempt, so when in doubt, let me have either some really good quality photos or bring them to me in person to view. Thought a little short video might make a change ! This is from a little while back that I posted on my Facebook Page it's a before and after service on a very old original Stradic GTM, a classic Shimano match reel, that had never had a service since purchase ! From loud and squeaky, to smooth and silent ! All for just £15 ! Beware of imitations ! I spend an hour plus on a service and I am very thorough! REBUILT and regreased & oiled. ACTUALLY SEE what you've paid for ! Not sure there's many out there offering that, I've been doing it as long as my page has been running to show customers the depth and thoroughness of my services - Please take a look at my page and give me a ' like ' I'd really appreciate it ! 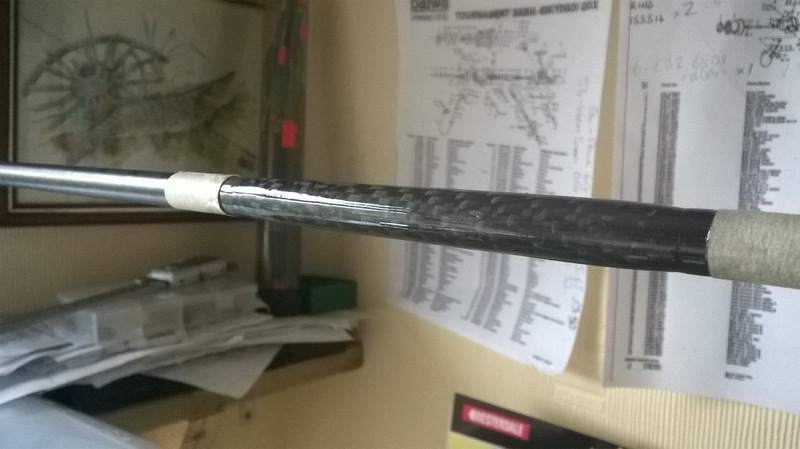 Drennan rod repair and carbon fiber wrapping / rod break fixing ! Trafford Tackle Repairs carbon wrapping and rod break repairing ! Reel servicing including return courier delivery ! 2017: Mail order reel servicing & prices. As I've been offering this for a while now I thought it best to update the site with some details for those of you that are not - so - local to Manchester ! You can purchase services through ebay ! serviced by using the drop down menu on eBay. Send to: D Kelly. 19 Strathmere Ave. Stretford. Manchester. M320DR. days, usually returned using a signed for courier service. The prices are for servicing ONLY and do not include parts. I use a signed for courier service which requires that you sign for it. To Pay: Simplest way is to either buy through eBay or just call text or email me with your PayPal email address and I'll send you an invoice. An ever so slight increase and simplification, all reel servicing is now back to £15 per reel regardless of quantity, mail order prices will be staying as they are as they are already slightly higher with postage etc so I will include a link to my ebay listing below. This is still half the price of places like Tackle Box at Sutton, and I can guarantee I do as thorough a job as Daiwa's or Shimano's own service departments ! I service, ALL the old Shimano Baitrunners and Daiwa big pit reels that Shimano and Daiwa now don't ! 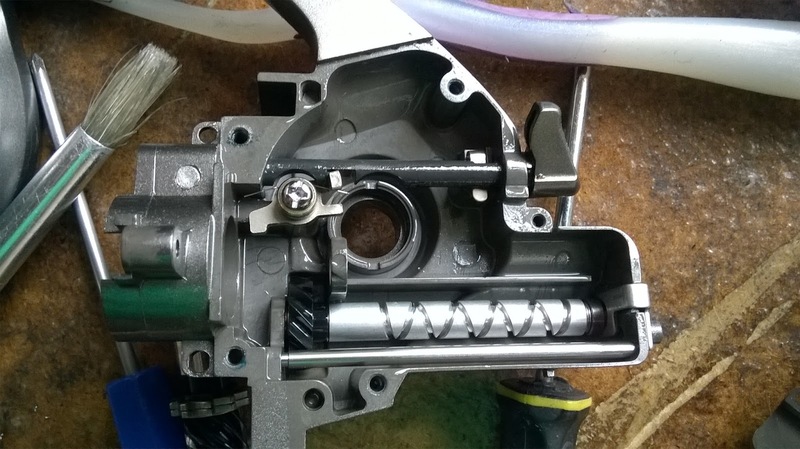 Every reel is stripped, cleaned, inspected, re-oiled and re-greased and re-assembled . . . . . all for £15 ! If you live in the north west you'll also be lucky enough to drop them off and benefit from NO POSTAGE! I am situated 2 minutes from the old Trafford angling shop, if you shopped there you will likely know me ! 5 mins from the M60 junction 7 and 5 mins from the Intu Trafford Centre. I will give you my details when you make an appointment. Each reel, stripped down and cleaned thoroughly. . . . . . . .
All bearings are removed, cleaned and inspected before going back in. 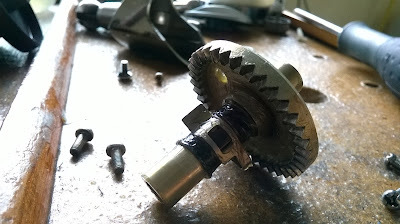 All gearing is removed, cleaned thoroughly and inspected for signs of wear before the reel is re-assembled. Drag washers are also removed and de-greased and dried/inspected and re-greased before re-inserting back into the spool. Swing tips and my new twirly drying rack adapters ! Well folks, due to demand and an upsurge in the popularity or resurgence of swing tip fishing seemingly creeping back into fashion of late, I decided to do a bit myself ! After just a couple of sessions I decided it was time for a new tip and set about knocking one up for myself incorporating some rod building technology ! well, the phone didn't stop ringing after a week ! Loads of feedback too, people actually ringing me up saying it was the best swing tip they'd ever seen! Super stuff, made my day, that's not something that usually happens a lot these days ! And they came out like this . . . . . . . 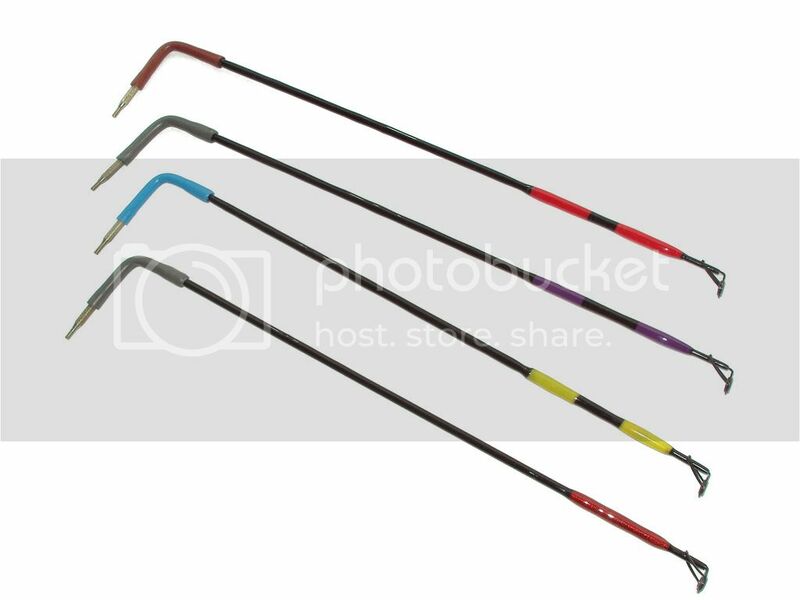 These are the 'close range' version with just the tip eye for maximum sensitivity and short flicks and underarm casts where you're not likely to tangle, as a bit of a general rule you don't 'need' a second or intermediate eye on a swing tip, they are kind of traditional, but not 'essential' as a rule. I do offer both versions though. For longer distance fishing people tend to like them with the second ring, to be fair all you need to do is what I do, just pull on the line with your spare hand before casting, if it's not free you know where the problem is! 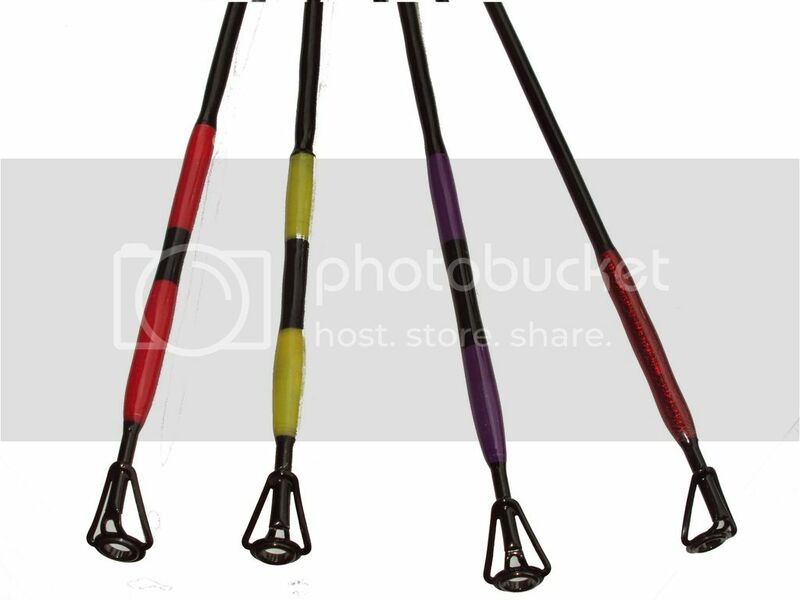 There will be three sizes in the 'range' 6'', 9'' and 12'', the latter having 2 small single leg rings and the 6'' and 9'' available as either a tip ring only model or with 1 small single leg up near the top of the tip. 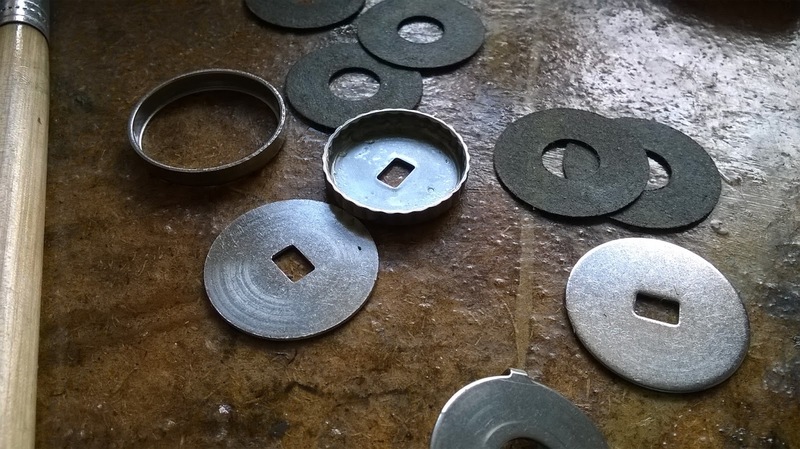 Price wise they are between £10 and £18, and come supplied with a set of 3 'proper' swing tip rubbers that you may have seen many moons ago marketed as the Trev Tomlin brand (remember the catapults) in a light/medium/heavy format and of course, a threaded swing tip adapter. 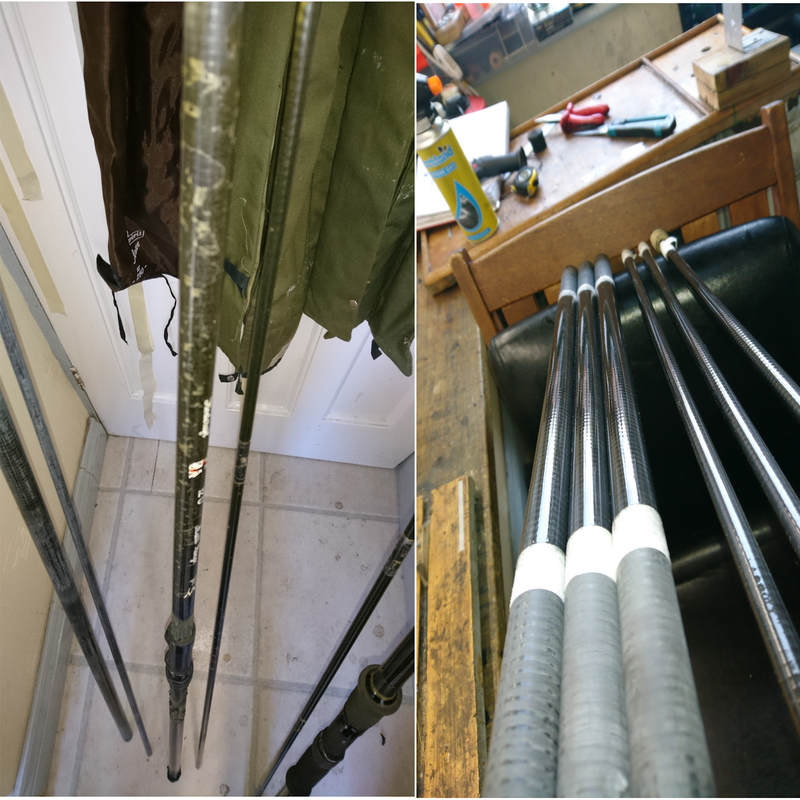 Here's a hot video of some new stock drying off on my newly made adapters that fit my rod drying racks ! Riveting stuff ! You'll love it . . . . . .
Join the Swing Tip revolution ! 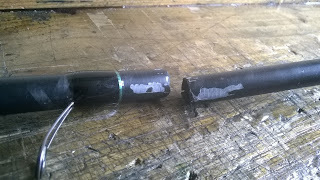 What do you think about Rod Building & Repairs In Manchester ? Share your opinion on Cylex! 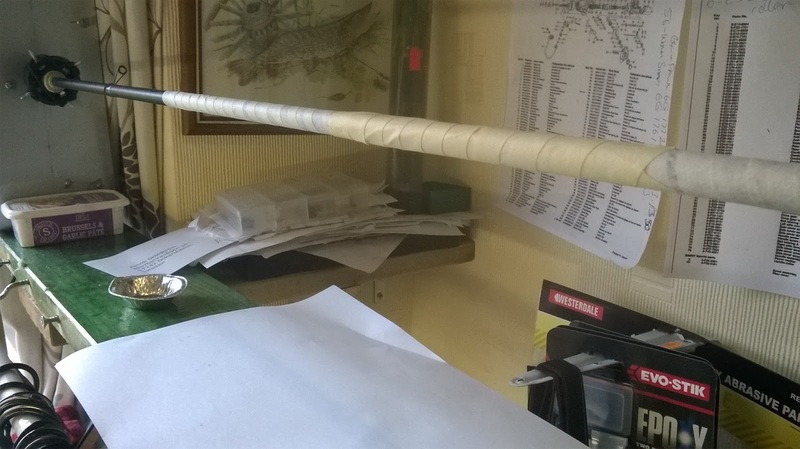 My other sites & links. . . . . . . .
A blast from the past on the TBR2 Barbel Tripod Blog! 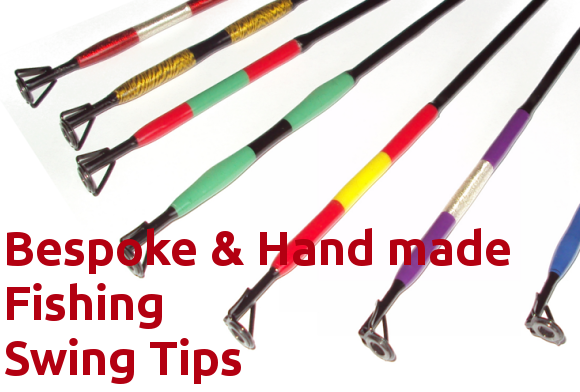 Trafford Angling Gear Reviews Blog here !